TAC is proud to add Dunwoody Labs Functional Testing to our portfolio of services. We believe in individualized medicine and by incorporating testing into your treatment plans, we can customize your program to assist you in achieving optimal health and wellness. 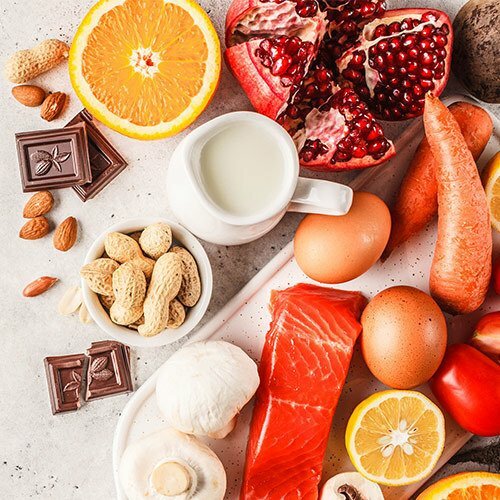 Researchers estimate that at least 60% of the U.S. population suffers from unsuspected food reactions that can cause or complicate health problems. Symptoms can be extraordinarily diverse, ranging from arthritis to eczema to migraines. In extreme cases, food allergies can lead to anaphylactic shock and death if untreated. Fortunately, most people do not have severe reactions. The Advanced Oxidative Stress shows how much oxidative stress there is in the body and how effectively antioxidant enzymes remove it. Reactive oxygen species (ROS, also called free radicals) are produced by virtually every metabolic process in the body and are counterbalanced by the action of antioxidants. Cardiovascular disease (CVD) is the leading cause of death for both men and women, accounting for every 1 in 4 deaths. Certain health conditions, such as diabetes and being overweight, and certain lifestyle choices, such as a poor diet, physical inactivity, smoking, and drinking too much alcohol, increase the risk. The Complete Cardio Profile with Oxidized LDL offers doctors and patients a more complete picture of a person’s CVD risk compared with a standard lipid profile. This profile measures standard cardiovascular disease markers: total cholesterol, low-density lipoprotein (LDL), high-density lipoprotein (HDL), very-low-density lipoprotein (VLDL), and triglycerides. In addition, the Complete Cardio Profile measures oxidized LDL, markers of inflammation, obesity, and metabolic syndrome. Contact Us to Schedule Your Testing! Researchers estimate that at least 60% of the U.S. population suffers from unsuspected food reactions.